To learn to read candlesticks for trading forex or binary or stocks, it is easier to learn from the basis. To analyze the movement of when a reversal occurs, we can make a moment to take a trading position, we must know the most favorable pattern. I will discuss how to read candlesticks easily and fun to learn step by step. Without waiting for longer, let's learn to trade using candlesticks. 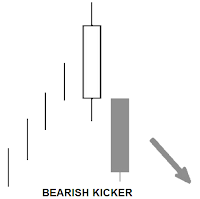 Candlestick is a technical analysis method originating from Japan. The origin of candlesticks was the opening of the rice commodity market in Osaka in the 17th century. Then in the early 18th century, a coupon system to purchase rice that will be sent in the future will be used so that the commodity market in Osaka becomes the first futures market in the world. 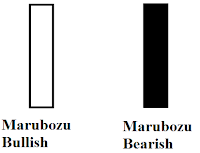 People who develop candlesticks like the one we are currently using are Munehisa Homma. In 1750 he began to take control of his family business and one of them was agricultural land that produced rice. Therefore he started trading on the local exchange at Sakata. Munehisa Homma managed to become a successful trader in his time and had recorded 100 win streaks in trading. That success was because he made notes about the psychology of traders trading on the rice market. He also records data on rice prices and weather conditions. From all of that he made 160 trading rules and principles known as Sakata Method and this method became the candlestick we know today. After centuries known only to traders in Japan, candlesticks began to be known by many people when Steve Nison published the first article about candlesticks in Futures magazine in 1989. Previously in 1987 Steve Nison studied candlesticks in Japan and then wrote a book about candlesticks after three years until finally the candlestick became an important part of the current technical analysis. This is because the emphasis of the candlestick on the body of the candle. 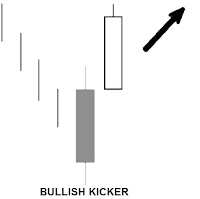 Therefore in the candlestick pattern, most if called the gap, what happens is the body gap. Likewise the gap is filled if the next session body fills the gap. But there are some candlestick patterns where the gap here includes shadow. 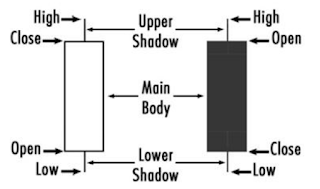 If it's called a shadow gap, the gap can be filled by the next session's shadow or body. 1. Candlesticks have a body that emphasizes the relationship between open and close so that it can warn traders about changes in psychology of market participants that can cause changes in trends even if only in the short term. 2. The color of the candlestick that shows the session is bullish or bearish and the shadow makes traders easier and faster in seeing and analyzing trends. 3. 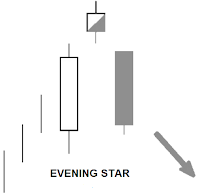 Candlesticks are good in giving a change in direction of price movements. Candlesticks identify changes in market sentiment and provide a faster signal from other technical analysis tools. 4. 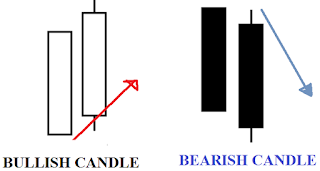 Candlesticks can be used together with other technical analysis tools because both use open, high, low and close data. 1. Candlesticks only signal in the short term. 2. 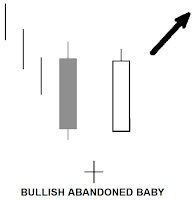 The signal from the candlestick does not provide a target price and how long the duration of the signal. Spinning Tops candlestick adalah candle yang memiliki shadow panjang di atas dan di bawah. Panjang masing-masing shadow ini lebih panjang dari panjang body candle tersebut. Candlestick ini menunjukkan baik buyer atau seller tidak memiliki cukup kekuatan untuk menggerakan pasar di luar opening dan closing price. Saat candle seperti ini muncul di pasar yang sedang trend seringkali memberikan tanda bahwa trend akan berakhir. Shadow on the doji also shows the effort of one party (buyers in upper shadow and seller in lower shadow) to move the market but ultimately fail. Failure of one party (buyer or seller) or both influence our analysis of the trend. 1. Bullish candles with long bodies appear on the uptrend. 2. The next candle is a short candle body (can be either bullish or bearish candle), there is a gap up between the body candle and the body candle does not overlap. 3. The third candle is a bearish candle with a long body and stronger if there is a gap down. When the market is experiencing an uptrend, a gap up adds to the belief that the uptrend will continue. Buyers are able to control during the initial session but they are unable to maintain so that the session ends with a short candle body. first so that the seller starts to control. An increase in volume in the third candle can further confirm the occurrence of a reversal. If there is a gap down between the body of the second and third candles, then the more likely it is bearish. 1. 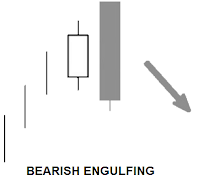 Bearish candles with long bodies appear during a downtrend. 2. The next candle is a short candle body (can be either bullish or bearish candle), there is a gap down between the body candle and the body candle does not overlap. When the market is experiencing a downtrend, a gap down adds to the belief that the downtrend will continue. The Selller is able to control the start but they are unable to maintain so that the session ends with a short candle body. The next session even the market moves in opposite directions and instead rises to the body of the first candle. If there is a gap up between the body of the second and third candles, the more likely the bullish. 1. 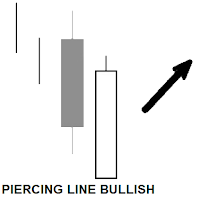 Bullish candles with long bodies appear during an uptrend. 2. The next candle is a doji and there is a gap up. 3. The third candle is a bearish candle with a long body and a gap down occurs. When the market is experiencing an uptrend, a gap up adds to the belief that the downtrend will continue. But apparently there is nothing dominant between buyers and sellers so that doji form. The next session instead the market moves in opposite directions and even down to the body of the first candle. 2. The next candle is a doji and there is a gap down. 3. The third candle is a bullish candle with a long body and a gap up occurs. When the market is experiencing a downtrend, a gap down adds to the belief that the downtrend will continue. But apparently there is nothing dominant between buyers and sellers so that doji form. 1. 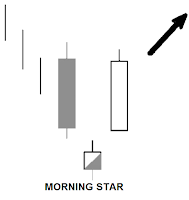 When in an uptrend, there is a gap up but the price closes the same or almost the same so that a doji is formed. 2. The second candle is also doji and there is a gap up again. 3. The third candle remains in the form of a doji but this time there is a gap down. Doji shows doubts among market participants. When the market is in an uptrend and the first doji appears, market players begin to pay attention to whether the uptrend will end. The emergence of the second doji shows the market is starting to lose direction. The third doji signals that the uptrend has ended. This pattern shows too much doubt among market participants. · This pattern rarely appears but if it appears it has a high probability. 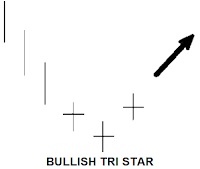 · This pattern is usually followed by a decrease in volume. Doji shows doubts among market participants. When the market is in a downtrend and the first doji appears, market participants begin to pay attention to whether the downtrend will end. The third doji gives a sign that the downtrend has ended. 1. Bullish candle appears during an uptrend. 2. The next candle is a bearish candle with a long body exceeding the previous candle. When the market is experiencing an uptrend, the next session opens with a gap up indicating that market participants are still assuming conditions will remain bullish. However, the price turned around and closed lower than the previous closing session. · The second candle only needs to exceed the body of the first candle. But if it also exceeds the first shadow candle, the stronger the signal reversal. · The longer the second candle, the stronger the change in sentiment that occurs. 1. 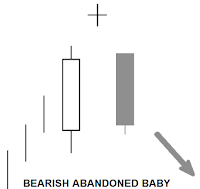 Bearish candle appears during a downtrend. 2. The next candle is a bullish candle with a long body exceeding the previous candle. When the market is experiencing a downtrend, the next session opens with a gap down which indicates that market participants still assume conditions will remain bearish. However, prices turned around and closed higher than the previous closing session. This indicates a change in sentiment from bearish to bullish. 2. The next candle is a bearish candle with a long body opened above the first high candle and closes below half of the first candle body. But apparently the price reversed and closed below half of the first candle. This indicates a lack of support to continue the uptrend. 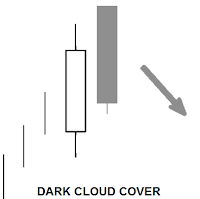 · The lower the price closes below half the body of the first candle, the greater the likelihood of a reversal. 2. The next candle is in the form of a bullish candle with a long body opened below the first low candle and closed above half the body of the first candle. But apparently the price reversed and closed above the first half of the candle. This indicates a lack of support to continue the downtrend. · The higher the price closes above half the body of the first candle, the greater the likelihood of a reversal. 2. The next session will occur a gap down with the opening price near the previous session's opening price. When the market is experiencing an uptrend, the next session opens with a gap down near the opening session price. This shows a sudden change from market participants. If previously the market was still bullish, in the next session the market immediately reversed direction. 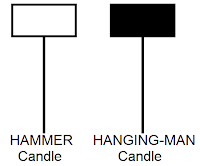 · The body of both candles is the same or almost the same. · The longer the body on the candle, the stronger the signal reversal occurs. · Usually followed by an increase in volume. 2. The next session was a gap up with the opening price near the opening session price of the previous session. When the market is experiencing a downtrend, the next session opens with a gap up near the previous opening opening price. This shows a sudden change from market participants. 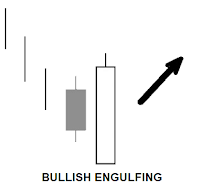 · The longer the body on the candle, the stronger the signal reversal occurs usually followed by an increase in volume. 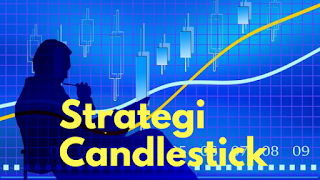 0 Response to "Strategies for Reading Candlesticks Easily Forex Binary Trading and Stocks"